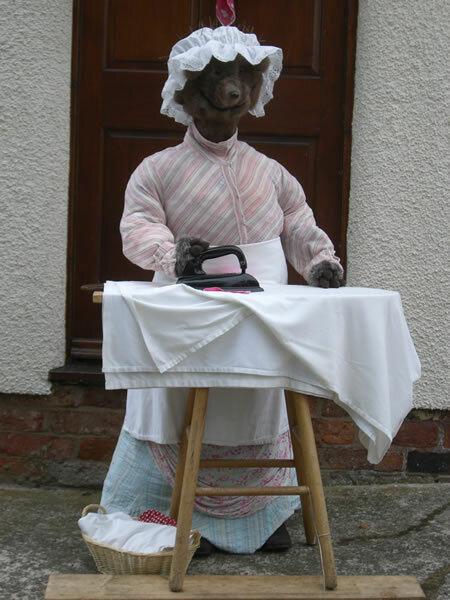 There were two winners of this year's Kelsall Scarecrow Competition. 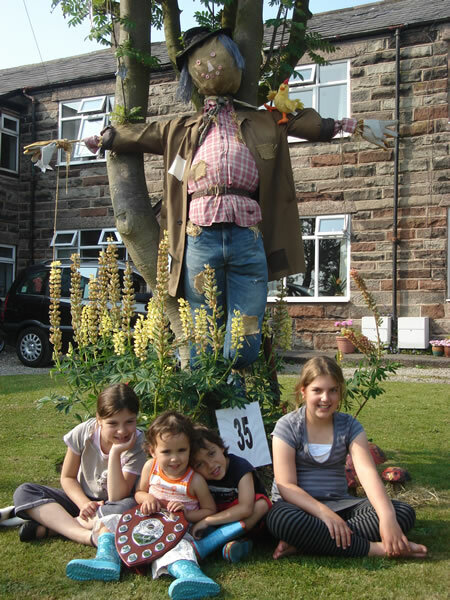 'Dingle Dangle Scarecrow', a joint effort by the Howell and Barton families of Dingle Lane, was voted the best Traditional Scarecrow. Joint runners-up were 'The Hungry Caterpillar' by the Bleckly family who also live in Dingle Lane and 'Mrs Tiggy-Winkle' by the Baskerville family of Grub Lane. 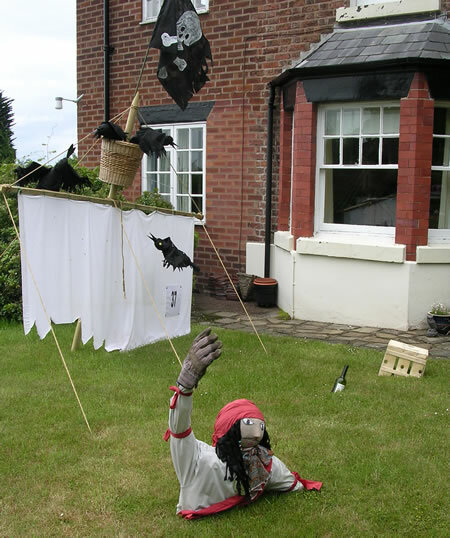 This year there was also a prize for the best Thematic Scarecrow 'By the Sea' - the winner was 'Crows Nest' by the Corlett family (Church Street) and the runner-up was 'The Apprentice' by the Ward family (Kelsborrow Way). Once again this fantastic community event provided lots of pleasure for the local community and visitors to the village over the Folk Festival weekend. 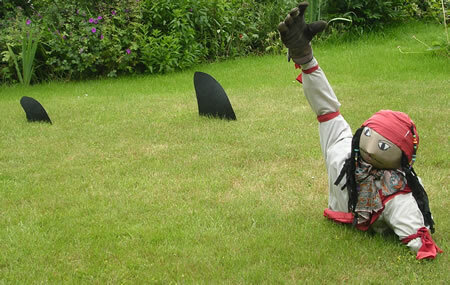 The sale of the Scarecrow Trail Guides raised approximately £600 for Kelsall School, and the Friends of Kelsall School PTA would like to say a big thank-you to everyone who entered a scarecrow or purchased a guide.